Please forgive, I am seriously behind in my posting. Between work, life, camping, and general craziness I have barely got my walks and exercise in. So today’s question. . . How do you keep score? Are you one of those people that tick and tack every single thing, remembering all the details, and mashing over the minutia until your eyes bleed???? Or are you the kind that rolls with the punches, bright-eyed Polly Anna that it will all work out / even out in the end. So what does keeping score have to do with healthy living?? Everything!! It tracks your progress. Not just what you did today, but also how far you have come. This evening, I was looking back at the last couple games for Alex Gordon. Poor guy has been making good contact with the ball, but in looking at his past at bats, the outs were made 4-3 , 4-3, 4-3, struck out swinging, etc, etc, etc. It got me thinking that at the end of the day, it’s just stats that you are looking back at. No matter what happened yesterday, you still have a chance at this “at bat” to make a difference. A chance to make a change. Same with healthy living, exercise, good choices, and supportive teams. Each day you have a choice to do the right thing. So seize your At Bat today. Swing for the fences and make that reflection you see in the mirror proud of every play. 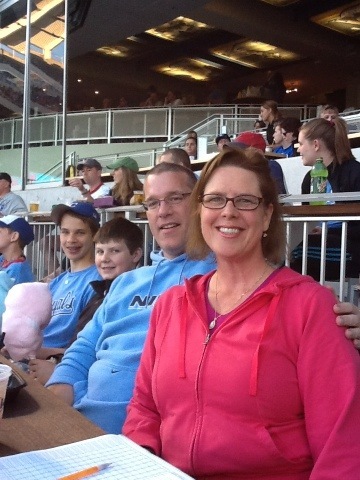 This entry was posted in General Mayhem and tagged baseball, Kauffman Stadium, Royals, score by julia. Bookmark the permalink.